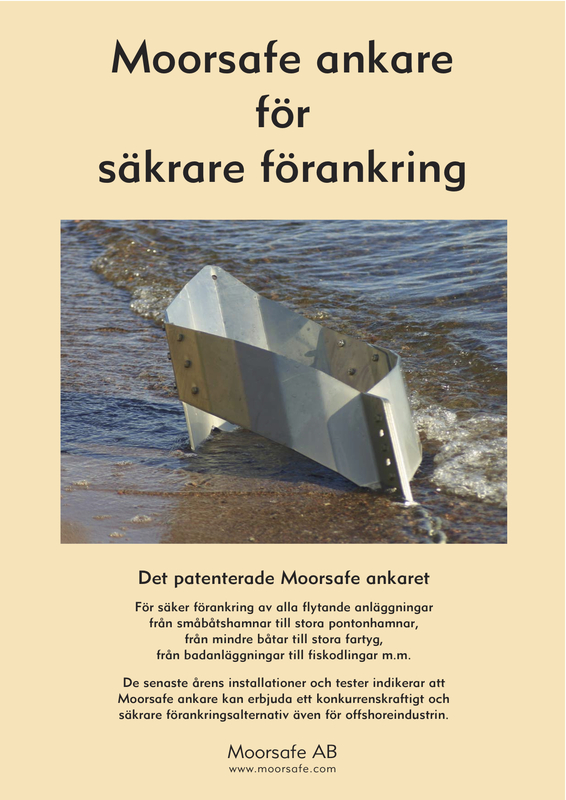 With 30 years of experience as designer, inventor, boat owner, owner of the company Roslagens Marincenter AB, providing boat accessories, and input from customers with both positive and negative views on different anchor types, Olav Dale invented the new Moorsafe Anchor concept. Moorsafe AB was established as a subsidiary to Roslagens Marincenter AB during 2002 to handle sales and marketing of the new Moorsafe anchor technology. The first generation of our Ring anchor type was marketed in Sweden through boat fitting stores under the name O-ringen. Two generations later, the Ring Anchor is still growing in popularity and more than 6000 anchors has been sold. The more advanced Moorsafe anchor also has been further developed during the years, and more than 800 units has been installed. 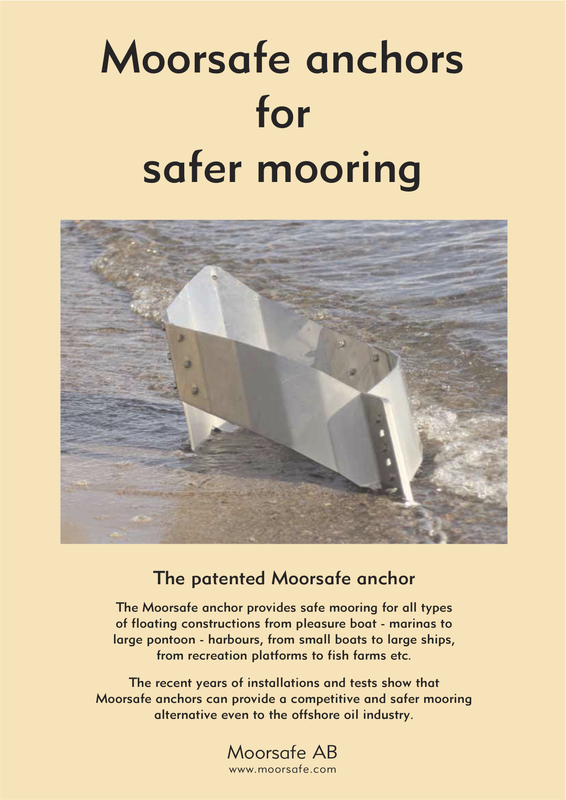 Moorsafe anchors provides safe mooring for all types of floating constructions ranging from pleasure boat pontoon-marinas and offshore civil applications to larger offshore floating structures. Moorsafe´s primary goal has always been to develop a high quality anchor designed to exceed competitors in both performance and handling.Welcome to our world!